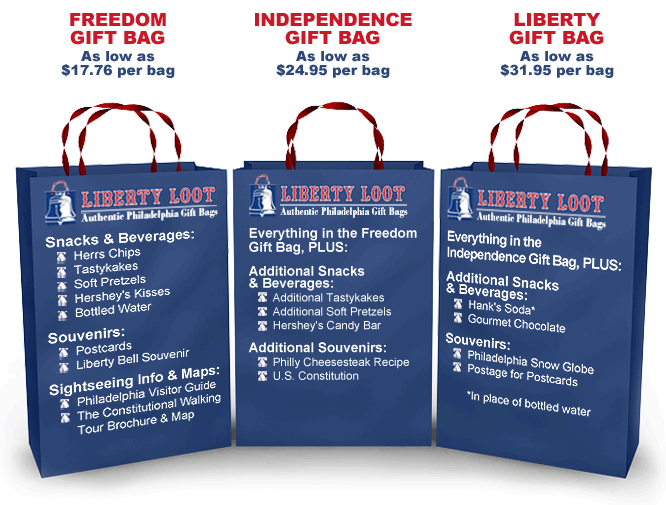 You can also add additional souvenirs to our Standard Gift Bag Options. To see a sampling of our Souvenir Add-On Options, click here. Hand delivery right to your hotel or event location is available. *Delivery within Center City Philadelphia covers the area bounded by: Columbus Boulevard on the East, 38th Street on the West, Spring Garden Street on the North and South Street on the South. For delivery outside Center City Philadelphia, pricing depends on location and distance. Call 215.525.1787 for details.